When it comes to text editing apps for Mac, there are a number of options you have to choose from. 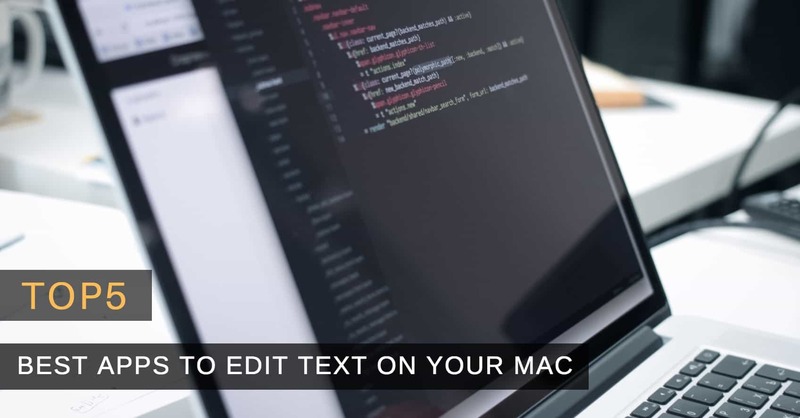 From the very popular apps like Sublime Text, you have got dozens of apps to create and handle text files on your Mac. It’s easy to get confused as to what app to choose for your text editing tasks when you have a number of options available in front of you. To help you make a choice, the following post covers five of the best text editing apps for Mac. It narrows down your options from dozens to just five. All of these five apps are worth having on your Mac and they have got all the text editing tools you would ever need. 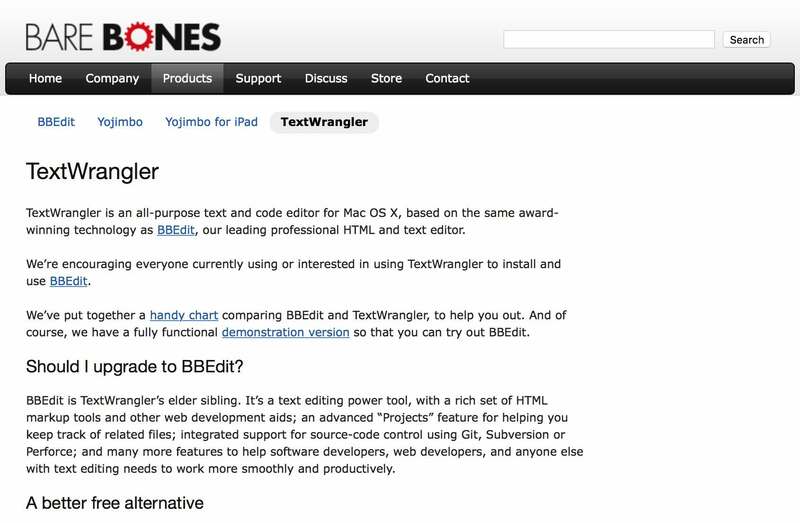 TextWrangler is one of my favorite text editing apps as it’s lightweight and it helps you manage your text contents in a really great way. The app is similar to that of Notepad++ but it has its own unique things as well. You can use the app to create text files, HTML files, and all other kinds of files that contain text. The company calls it an all purpose text editor and it really is. You can download the app for free from its official website. 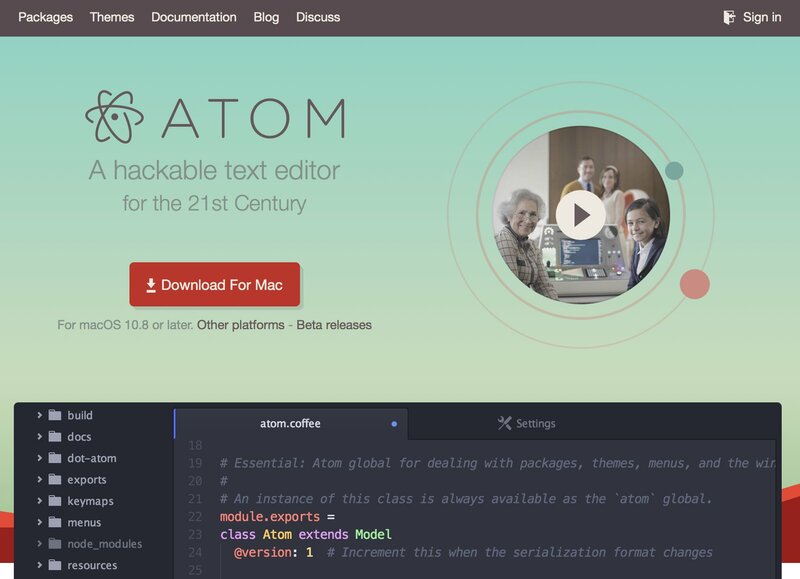 Atom, as the company calls it, is a hackable text editor for the Macs. In the world where you can customize almost everything, you should also have the tools to customize the editor that you use for your text contents. 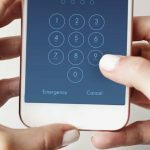 The app can be hacked to the core so that you can make it truly yours. Some of the salient features of the app are cross-platform editing so you can create a document on a Mac and edit it on Windows, and vice versa. 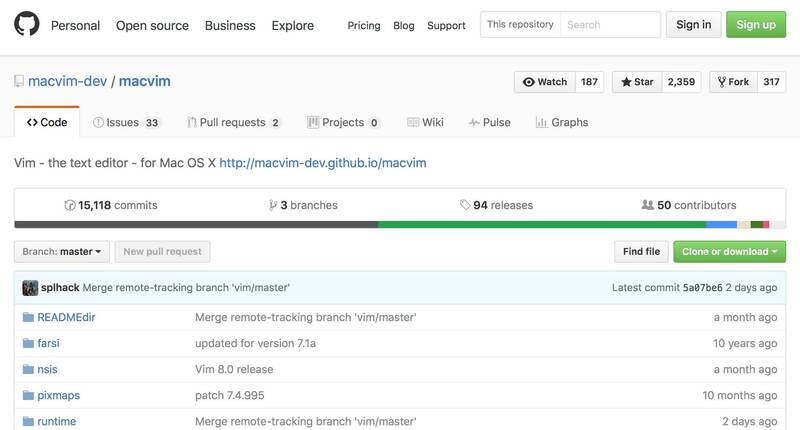 The app also features a package manager to help you new packages right off the app. The auto complete feature in the app helps you write texts much faster as most of your texts are auto completed for you. It has all other standard text editor tools as well which you might need for editing simple text files. MacVim is a time saver text editor for your Mac that helps you quickly access various functions of the app with memorable keyboard shortcuts. The app also has a distraction-free writing mode so that you don’t lose your focus while you are writing a really serious code for your projects. If you happen to be a multi-tasker, the app also has a multi-windows feature to help you keep multiple files open at once in the app. The app can be downloaded for free from GitHub. 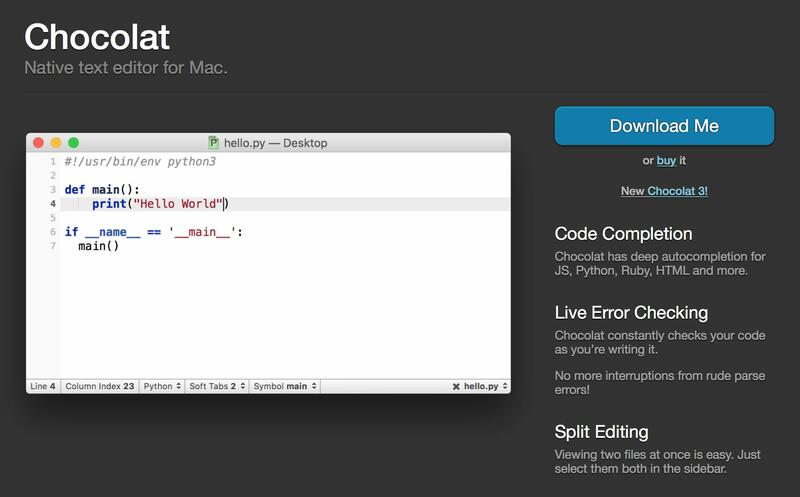 Chocolat is a native text editor for the Macs whose goal is to be the perfect text editor for the Mac machines. 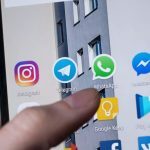 The main focus of the app is on Macs and the company that has developed the app just doesn’t like porting apps from Windows PCs. The app offers features like code completion, custom snippets, error checking, split editing, file navigation, color picker, and so on. This list should give you an idea as to how powerful the editor is and how it can help you be more efficient with your text writing tasks. You can obtain the app from its official website for free. 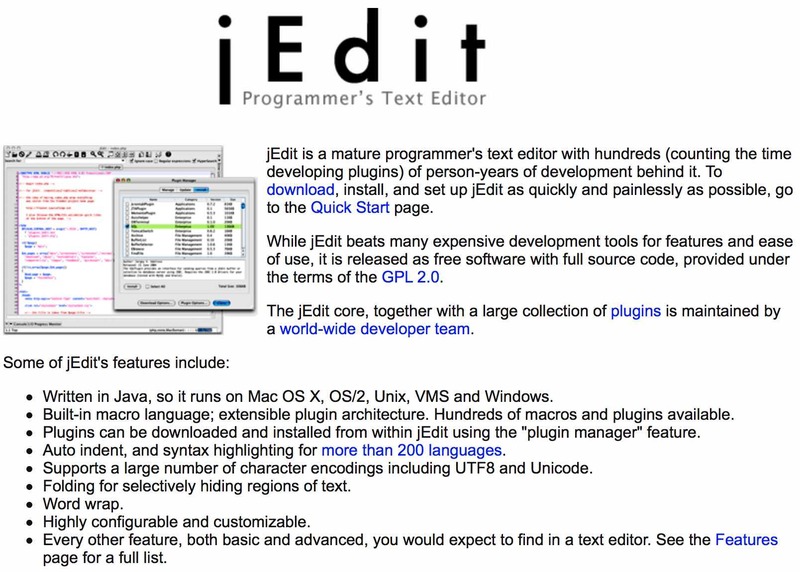 jEdit is a text editor app for Macs that has been written in Java so the app works on almost all the platforms where Java is installed. The app has got hundreds of macros and plugins to make your text editing tasks easier than ever. It has taken years of work to build this app and it is an app for the mature editors out there. The app has features like word wrap, auto indent, syntax highlighting for over two hundred programming languages, and so on. It’s an open source app and you can download it from its official website.